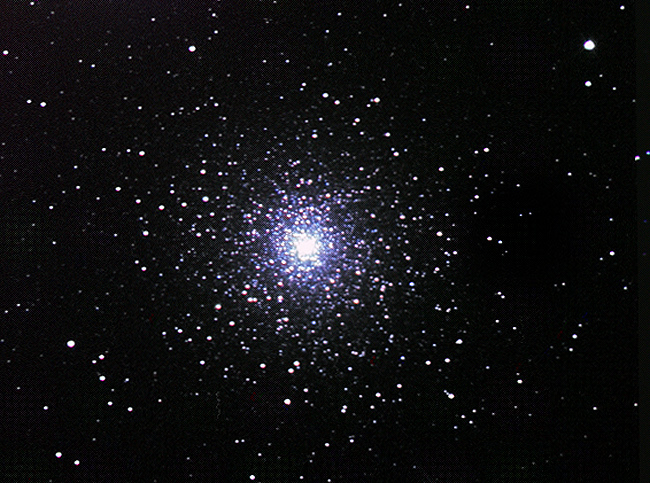 Apparent RA: 21h 30m 12s Apparent Dec: +12° 11' 22"
An LRGB image of M15. 250x2.5s and 150x9s exposures for L. 50x8s exposures for Red, green and blue. Stacking in registax and combined in photoshop. This is my first globular with the new SC3. I've combined many different length exposures to catch both the fainter detail and the core detail. I'm not too sure about the colour balance - its gone a bit blue in the middle for my liking.